Let me fill you in on my typical workout routine nowadays. It’s boring, it’s routine, it’s structured. Well that doesn’t sound too fun, right? But for me, it’s perfect. Too often in the past I would fall into the comparison trap. With others, but even worse, with myself. Each workout had to challenge me in news ways, be harder or a little longer than the day before, make me sore in areas I didn’t even know were possible. Not a way a too live. But hey, I thought that my self worth was based on my pace during a run, being able to edge out an extra tenth of a mile, holding a plank for a few extra seconds, or pushing through the mental anguish of another cardio workout. So sure, my fitness regiment is pretty much the same week to week. Meaning I know what I do on certain days and how much time I’ll dedicate to working out. But ya know what? That’s okay. Sometimes it’s more rewarding to not constantly be pushing yourself. Of course I still like to physically challenge myself during workouts…I love those endorphins! But I get an even greater high on the days when I am able to successfully combat the voices in my head telling me to go a little longer, go a little harder, or that I am not doing as much as so-and-so. So here’s to resting when you need. Taking a break when you feel like it. Going easy and cutting yourself some slack. To realizing when something isn’t serving you. To being okay with ‘quitting’ (it’s not the end of the world if you decide you’re not feeling a workout today!). 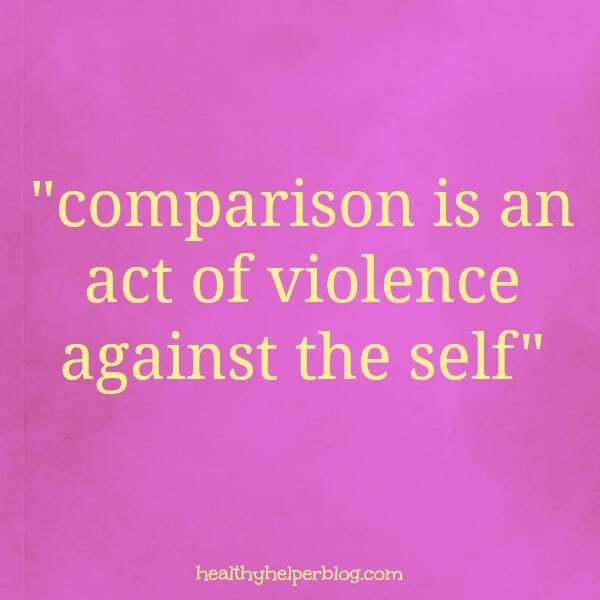 To comparing yourself to no one…including who you were yesterday. And to living for more than physical measurements of success. I’d love to chat with you all more on this topic! Stop by my blog or reach out to me on any of my social media to get in touch! Big thanks to Carla for this guest posting opportunity. I like this idea – I’m certainly feeling this way as I’m navigating the world of pregnancy fitness. I wasn’t an intense exerciser pre-pregnancy, so I need to stick true to myself for the next 9 months! Thank you so much for this opportunity, Carla! I appreciate it so much! It really helps me to remind myself to talk in my head like I would to a friend. I love this post and agree that for many people the best thing they could do relax more and remove the constant drive to PR or best themselves. While working to improve is a great goal, we should focus on overall health, which can’t be measured by physical badassery. After trying multiple protocols, both nutritional and fitness related, behaviors that keep fitness activity at manageable levels and eating a balanced diet at TDEE, work best for me. “Physical badassery”—-> that is the best phrase ever. But I agree, health is definitely not measured by it! Great post! I wish I saw more of these types of posts!! 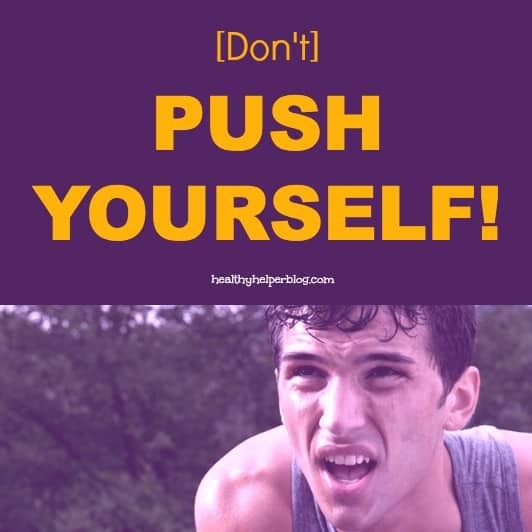 I wrote about this concept really early on in my blog, because, in the past I found myself almost addicted to pushing past my limits and underlying my efforts was insecurity and a desire to prove myself. Recognizing and accepting limits can often be a lot more difficult for some people. The tough stuff for us is seeing ourselves as human beings with weaknesses – many of which just need to be respected! Yes I can totally relate to that sense of addiction. Like you have to keep beating what you did yesterday! 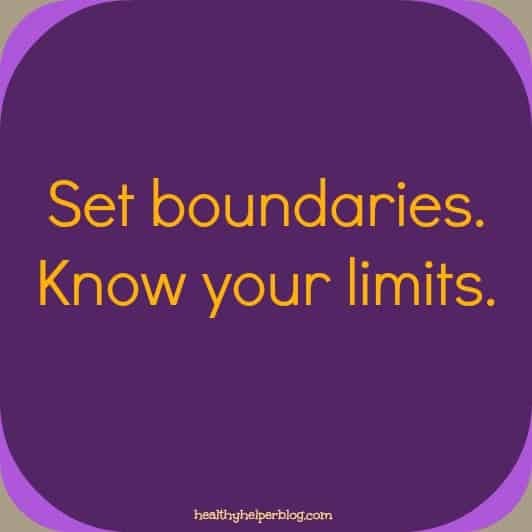 But you’re right, establishing limits for ourselves is key to staying sane and happy. Do what you can each day. It’s enough. I definitely struggle with breaking my routine too! It’s all a learning process though and I think when you allow yourself to challenge those thoughts on a more regular basis it all gets easier. It’s just about creating new pathways for your thinking instead of getting stuck in the same rigid routines. I can’t believe how needed this post was. I am so tired. I have tried everything to get to a goal weight. I lost weight, but never to that magic number. I had a physical. I’m fine. I Spent a fortune last year with a trainer. I am stronger, but I never lost weight. Now I’m trying to workout before my long days of two jobs and it’s not working. I need to give myself a break. YES! So happy you could reach that realization! I am like you – I challenge myself but don’t go crazy… actually as much as people think I might have done this, I never really did – I consider what I did when I was younger as challenging myself but I was always mindful of not wanting to injure myself. GREAT post! What a refreshing post to read this morning! It’s so true how we are bombarded with push push push on all social media channels. I actually don’t “like” or buy into it anymore, because I do what works for me. I don’t need to feel like I’m throwing up at the end of each workout. I like when I feel good inside and out, whether it is just a slow stroll with the puppy or a easy job to clear my mind. When you go 110% ALL THE TIME, it leads to burnout, stress, exhaustion, and frankly you feel like poop. Totally agree! You have to do what’s best for YOU! People are always pushing the “go hard or go home” mantra and I have seen so many clients injure themselves by doing the full monty after not having practiced exercise in years. Every individual is different. You must be careful not to exceed your own limits! Thanks for the reminder, will share!